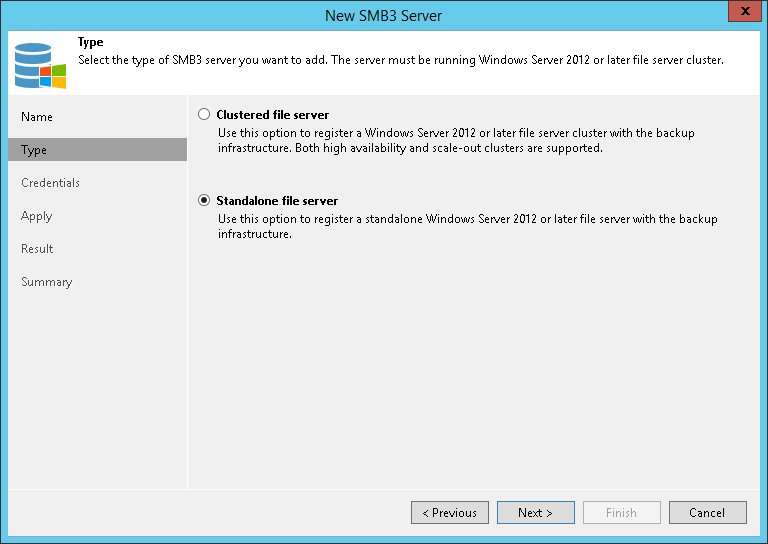 At the Type step of the wizard, select what type of Microsoft SMB3 server you want to add. Select Clustered file server if you want to add a Microsoft SMB3 cluster to the backup infrastructure. Veeam Backup & Replication supports high availability and scale-out Microsoft SMB3 clusters. Select Standalone file server if you want to add a standalone Microsoft SMB3 server to the backup infrastructure.